It is always better to know the reasons for the occurrence of the disease before proceeding for treatment. Same is the case with psoriasis also. You may wonder after knowing the fact that even today, there is no medicine available to cure psoriasis completely. Thit’s the reason why several psoriasis patients are preferring natural method to treat psoriasis. According to one belief, more than 10 million from EU and more than 7.5 million from USA are suffering from psoriasis. These numbers may go up significantly if you consider African or South American regions. Ayurveda is an herbal medical procedure which is very popular in the Indian and Sri Lankan regions. People from several parts of the world are coming to these places to get treatment for psoriasis and other skin related disorders. In Ayurveda each and every disorder can be categorized in any one of the five categories. According to Ayurveda experts, psoriasis come under Kaphaj disorder cattery and effective treatment is there in Ayurveda for this disease. Kaphaj is one of the five Pradhana disorder types. Diet changes play a key role in any disease treatment and if you opt for herbal medical procedures you need to be more careful. In case of Ayurveda treatments strict diet to be followed whatever the treatment may be. Onions, ginger etc. have to be avoided. Spicy food should not be taken. One must follow the exact diet pattern prescribed by the Ayurvedic doctor. Packed foods are not at all allowed. Even in adverse circumstances also you need to eat fruits and vegetables only if you opt for herbal or Ayurveda treatment. To get rid of the itching sensation also these diet changes will surely help. In the Vamana karma procedure, a special diet is followed for psoriasis patients. Doctors usually prescribe some special food items to perform medical vomiting. Tough there are no scientific proofs to suggest that this procedure works, most of the psoriasis patients are very much happy with the results. Even some herbal topical ointments that are useful to reduce the inflammation sensation are also prescribed. In the opinion of Ayurveda doctors, these creams are also helpful in removing the scaly red paths. The moisture content present in them will help in keeping the skin moist in the infected regions and this immensely helps reducing the pain also. Drinking buttermilk and applying curd on the effected region is helpful in keeping the skin moist. Controlling the natural urges increases the psoriasis complexity. ThatвЂ™s the reason why vomiting, passing urine or stools need to be done whenever you feel so. Easily digestible food is preferred so that the burden on your abdominal can be reduced. Bitter gourd, pumpkin are should be included in your diet. Chicken, meat, beef and eggs should be avoided. Foods that are rich in Zinc and Vitamin E will fasten the healing process. Using gram flour or herbal scrubber is preferred instead of artificial soaps. Even in case of itching sensation also, donвЂ™t prick, peel and scratch skin. Patients suffering from psoriasis must use hygienic towels and washed clothes. Bathing in sea water is proved to be effective in most of the cases. Aloe Vera cream has the capabilities to reduce the irritating sensation and applying the same on the infected regions is proved to be very effective. A glass of bitter gourd juice has to be taken on empty stomach and add a spoon of fresh lemon juice if you can’t drink it as it as. Relaxation processes like breathing exercises need to be practiced daily. Unlike the regular medical practice where doctors prescribe some medicines to reduce the effect of any disease; yoga is an integral part of Ayurveda and doctors prescribe some special exercises in treatment of any disease in Ayurveda. So as a part of treatment doctors prescribe some exercising activities to patients who are suffering from psoriasis also. These exercises will also help in reducing the stress which increases the psoriasis affected skin area exponentially. Herbal treatments are most effective even from economic point of view also. One needs to spend close to $30,000 if you opt for biotech treatments in any of the European countries or America. 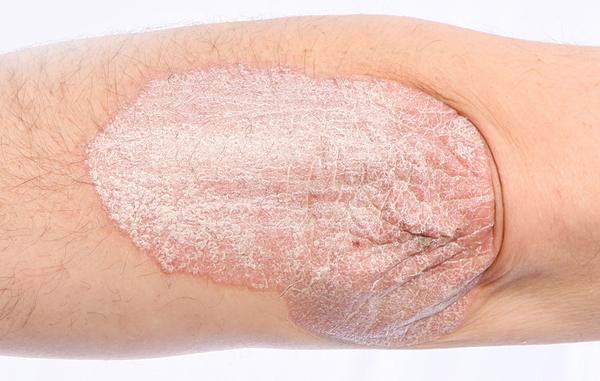 You can get the treatment for psoriasis by spending not even half as far as Ayurvedic treatments are concerned. If you opt for general treatment, you need to spend more to reduce the side effects also which is not the case with herbal treatments. You wonвЂ™t find any side effects in the herbal treatment procedure and no user reported any significant changes in their daily activities or regular health after opting for Vamana Karma procedure of Ayruveda. Similar to any other medical practices, following the daily activity schedule given by doctors is the key here. Even if you miss a day medical activity also, the time to heal increases considerably and keep this in mind before opting for herbal treatment. It is important to follow some lifestyle changes so that the effect of treatment increases tremendously. These methods are helpful in controlling the psoriasis even if you opt for other treatment procedures also. Use of full sleeved dress, hats and sunglasses will help in protecting the skin from harmful sun radiation. Even though some doctors suggest that the UVB radiation is helpful in treating psoriasis, over exposure to sun leads to skin burns which in turn increases psoriasis. Any natural treatment procedure wonвЂ™t allow use of cigarettes and alcoholic beverages. If you are a psoriasis patient and you have bad habits like smoking and drinking, natural treatment is not that much effective. Be positive throughout the treatment. This is a crucial aspect in the treatment as most of the psoriasis patients suffer from depression because of this skin disease. Some patients even face problems in doing their day to day activities also and in such cases, try to mingle with your groups as much as possible.